The cost of crossing the Golden Gate Bridge could rise by as much as $2 over five years under a series of toll increases being considered by transit district officials. Under the proposal, tolls would increase from $5 to $6.50 or $7 for FastTrak users, and from $6 to $8 for other commuters. Officials say the toll hike is needed to address a five-year budget shortfall of $142 million. 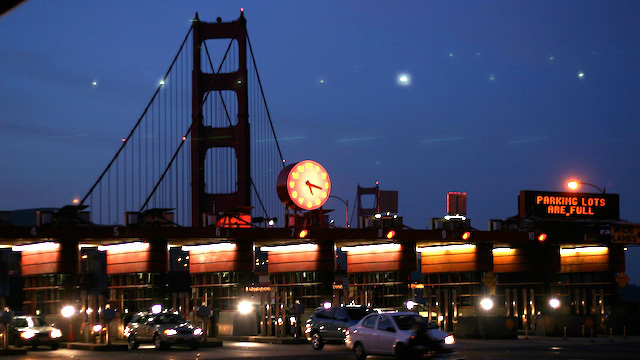 Golden Gate Bridge General Manager Denis Mulligan joins us to discuss the plan, which will be the subject of a public hearing on Wednesday in San Rafael.